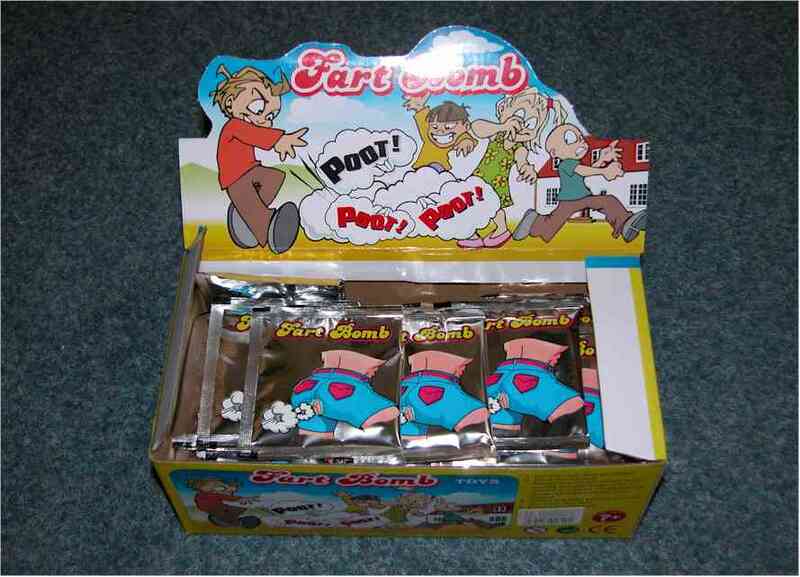 Fart bombs, these small 'packets' are like a time delay stink bomb, you squeeze the packet then shake it and drop it on the floor. The two chemicals inside mix together and produce 'bad egg gas' The bag swells up and eventually bursts open releasing the gas. From experiments here the delay is 1-2 minutes. It is important to shake the bag.